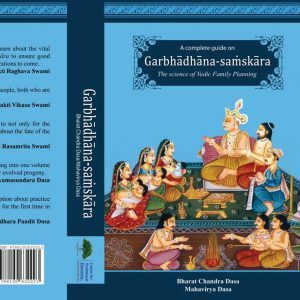 Taking information from traditional tests, this book nicely presents the subject in a consistent manner which is helpful for the aspirant wanting knowledge of this subject, along with a Vaisnava perspective. 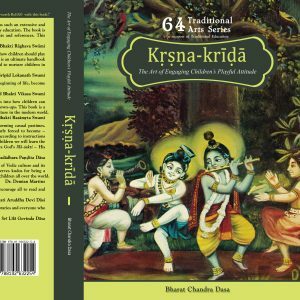 The practical application of becoming an instrument in the hands of Krishna always remained a puzzle. 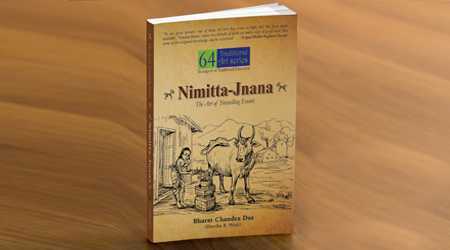 This wonderful compilation gives a new dimension in understanding what is actually meant nimitta-mantra. 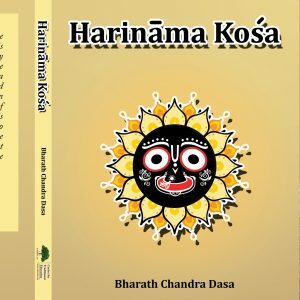 In Krsna’s Vedic culture people were trained from childhood in the science of how to identify and interpret the various messages (nimitta) that krsna was sending them. 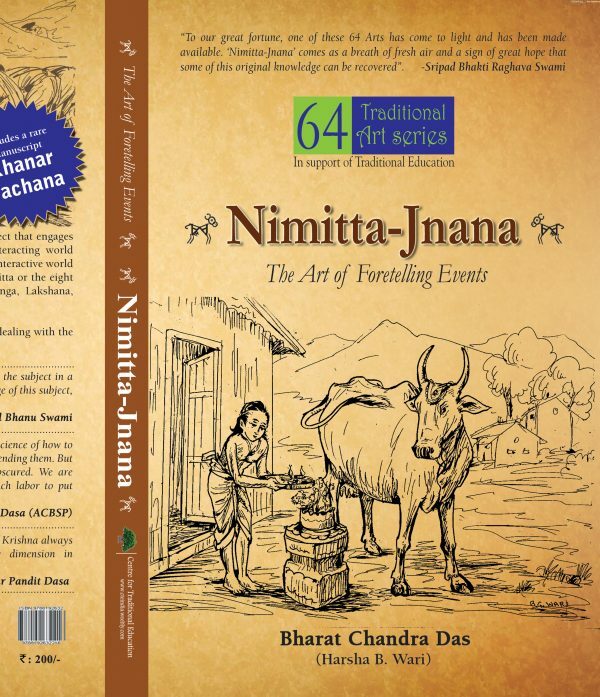 But with growing atheism and loss of culture this art has become abscured. 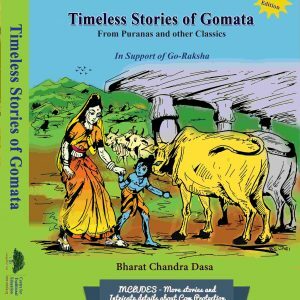 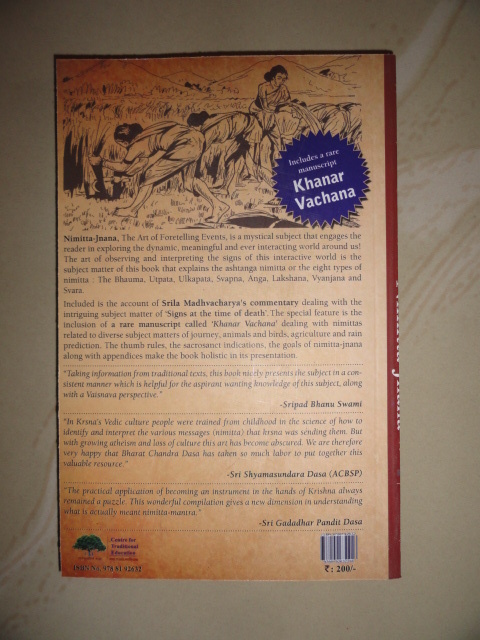 We are therefore very happy that Bharat Chandra Dasa has taken so much labor to put together this valuable resource. To our great fortune, one of these 64 Arts has come to light and has been made available. 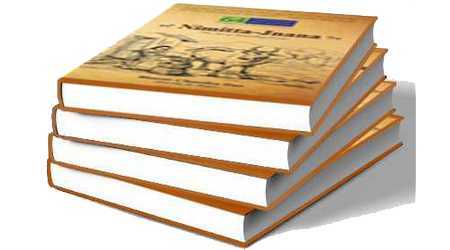 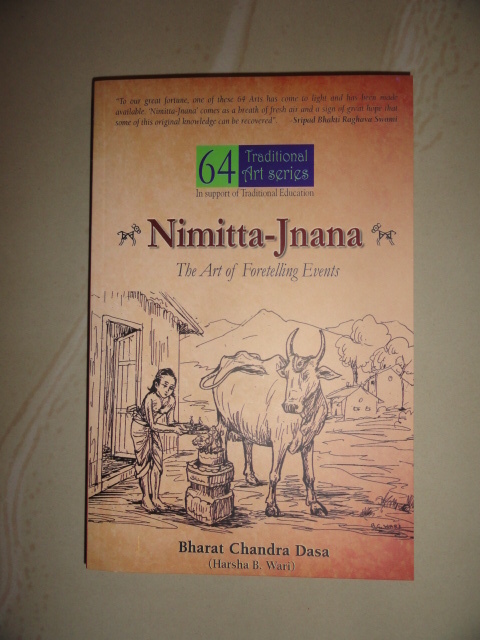 ‘Nimitta-Jnana’ comes as a breath of fresh air and a sign of great hope that some of this original knowledge can be recovered.